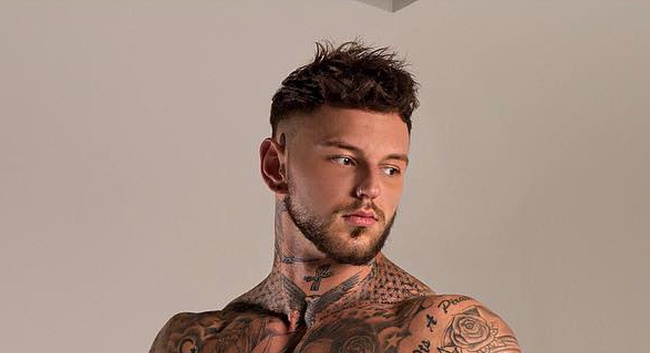 Thank God for reality TV stars – thanks to them, the number of male butts (and bulges) on Instagram has skyrocketed… this time, we’re with UK hottie Sean Pratt, who’s putting his bum on full display as a post-Christmas treat. 26-year-old Sean Pratt is mostly known from MTV’s Ex On The Beach, a reality show where single men and women get stranded on a beach… with their exes. Previously, Sean worked as a stripper and a naked butler. A while ago, there was a big kerfuffle involving Sean’s bulge and a deleted Instagram photo, then we saw him “pop a button” on his jeans because, well, bulge – and now we’re seeing his impressive bum, along with the rest of his naked, chiseled body.